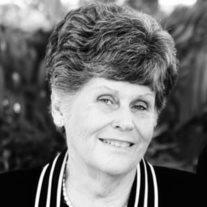 VANCE, Jayne Evelyn (Stradling), loving wife and mother; died at the age of 70 in Queen Creek, AZ on April 9, 2014. Jayne was born in Mesa, AZ on September 20, 1943 to Owen and Fern Stradling. She is survived by her husband and eternal companion, Leland; her children, Gregg, Darren (Sharron), Ryan (Sabrina) and 9 grandchildren. Jayne is preceded in death by her daughter, Kimberly and parents, Owen and Fern. In 1963, Jayne married her dear companion and recently celebrated their 50th wedding anniversary. Jayne will be remembered for her love and devotion to her husband, children and grandchildren. She was a woman of faith and the heart of her family. She was an example to all for her tireless Christlike service and dedication. Funeral services will be held on Monday, April 14, 2014 at 11:00am at the LDS Queen Creek Arizona Stake Center, 19730 East Ocotillo, Queen Creek, AZ 85142. Visitation will begin at 9:30am – 10:45am. Burial will follow the services at the Mesa City Cemetery. Funeral arrangements are being handled by Bunker Family Funerals.